MainAll NewsJewish World4 Shofar types: How to choose the perfect shofar? 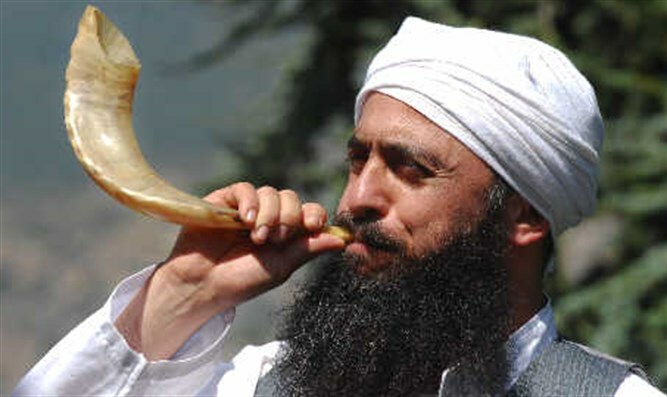 4 Shofar types: How to choose the perfect shofar? Shofars: made from kudu or ram’s horn, natural in textured body or polished and refined, always in the center of Jewish life. Shofars: made from kudu or ram’s horn, natural in textured body or polished and refined, dark brown or beautiful in light brown color strokes, hand-painted or adorned with silver plates, the Shofar comes in various styles and designs, and nonetheless, it is always in the center of Jewish life. The most classic and safe option if you are gift shopping. The first reference to a ram was in the book of Genesis, associated with the akeidah, the binding of Isaac. Today, it is blown for us to remember Abraham’s willingness to sacrifice his son before God. Ram’s horn shofar come in polished, half-polished and natural styles, as well as hand-painted and silver adorned. Made according to Yemenite traditions, kudu’s horn shofar is most remarkable in elongated and curvy body. Made from an African antelope, the kudu shofar produces a strong brass sounding, making it perfect for Rosh Hashanah and marking the end of Yom Kippur. This polished kudu shofar is outstanding in brown tones and elongated body. Its sound will resonate in the congregation, reminding all the past year and importance of keeping God’s mitzvoth. In addition to being used for religious purposes, the shofar can be used for decorative purposes, the same way menorahs and candlesticks are. Hand-painted shofars are often outstanding in design and beauty, but are not Kosher to be blown in Jewish festivities. For example, this kudu horn shofar is beautifully illustrated with Jerusalem. It will look wonderful in anywhere at home and bring a piece of the holy city to your home and display all your strong connection and love to the city. Another wonderful design is silver ornaments on the shofar’s body. It is believed that in the Temple in Jerusalem, on fast days the principle ceremony was conducted with trumpets and shofars on the sides, made from ram’s horn and ornamented with silver. Whether you are searching for a wedding gift or holidays gift, or interested in replacing your shofar with a better and improved model for the holidays to come, remember this: first decide the purpose of the shofar and affect you wish it to have on your loved ones as they admire it in your living room or as you welcome Rosh Hashanah. As you browse for the perfect shofar, be sure to check our amazing shofar sets of shofar and shofar bag!